UK will not be ‘punished’ for Brexit Jump to media player The chairman of the European People's Party group on the UK's plans to leave the EU. Nigel Farage: Brexit success is 'easy' Jump to media player The former UKIP leader outlines the three outcomes he believes must be delivered by the Brexit negotiations. 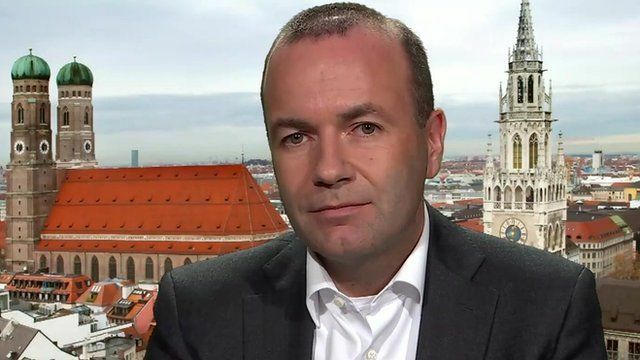 The EU will not seek to "punish" the UK for Brexit, but "leaving means leaving," and the UK would have to "live with the results," the chairman of the European People's Party group, Manfred Weber, has told BBC HARDtalk's Sarah Montague. For the UK to leave the European Union it has to invoke an agreement called Article 50 of the Lisbon Treaty which gives the two sides two years to agree the terms of the split. The UK Prime Minister Theresa May has said that she will not begin this process before the end of 2016. You can see the interview in full on Thursday 22 and Friday 23 September 2016 on BBC World News and the BBC News Channel and after on BBC iPlayer (UK only).